Accurate diagnosis of bacterial and viral infection is very difficult. Unfortunately, there is still no quick and discriminative diagnostic test that would help clinicians in establishing the diagnosis and taking a decision on treatment. 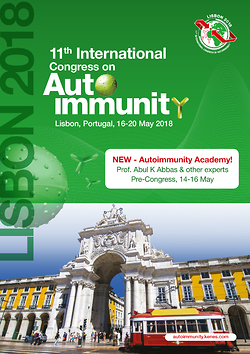 The aim of the study was to compare the expression of antigens on phagocytes, which are involved in the first defence line during bacterial and viral infections in children, as a potential tool to distinguish the etiology of the infection. The expression of CD35, CD32, CD88, and MHC class I on phagocytes in 49 blood samples from children with high fever and suspected infection as well as 19 healthy children (control group) was assessed by flow cytometry. Thirty-three children were diagnosed with bacterial and 16 with viral infection. Expression of antigens was analysed on a FACSCanto II flow cytometer according to mean fluorescence intensity (MFI) and antibody binding cites (ABC). Significant differences were observed for the following: CD32, CD35, CD88, and MHCI on granulocytes; CD32, CD35, CD88 on monocytes; and MHC-I ratio between groups were observed. The obtained results did not allow us to establish valuable score points for distinguishing between bacterial and viral infections. Classification and a regression tree using CD88 expression on granulocytes and CRP was developed. It enabled us to differentiate between the origin of infection with sensitivity and specificity of more than 90%. Utility of use of wide range antigens’ expression on phagocytes for distinguishing between bacterial and viral infection in children has limited value. More adequate seems to be use of CD88 expression on granulocytes linked with CRP value.